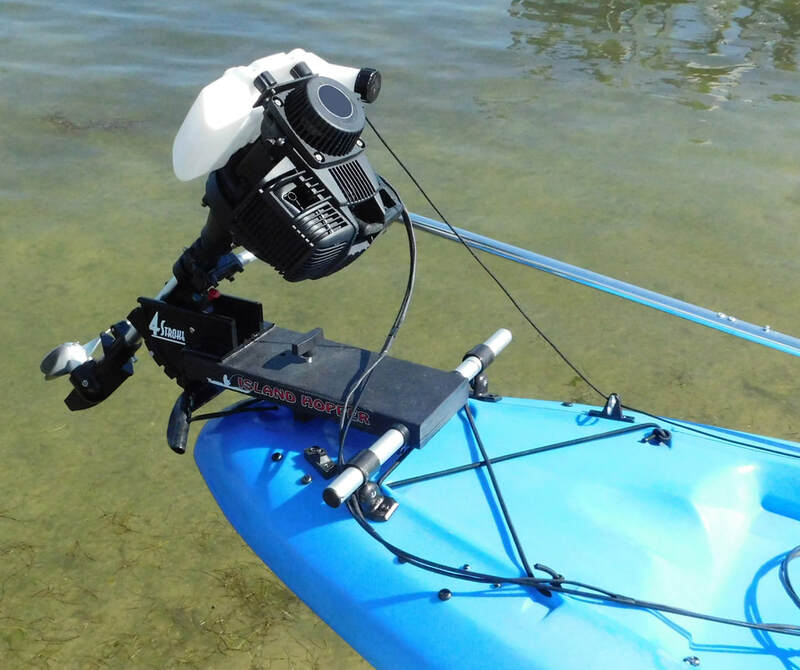 ​Kayak Outboard Motor - Transom Mounted Gas Kit Installing A Four Stroke Honda® Air Cooled Motor On Any Kayak Is Now Simpler Than Ever! 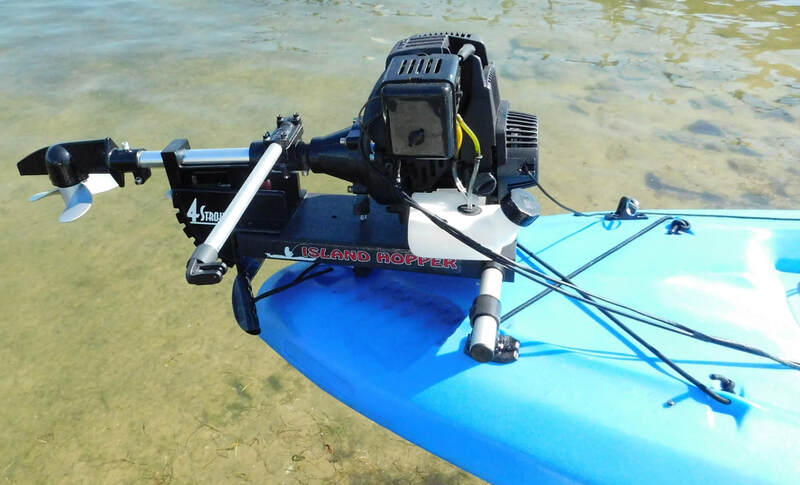 Installing A Four Stroke Honda® Air Cooled Motor On Any Kayak Is Now Simpler Than Ever! 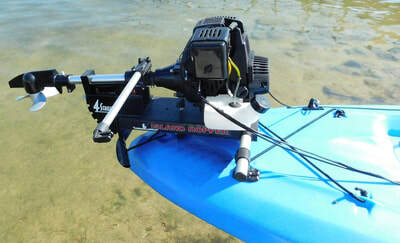 Our system also allows the kayak to be navigated using the foot pedal cables from kayaks rudder system. 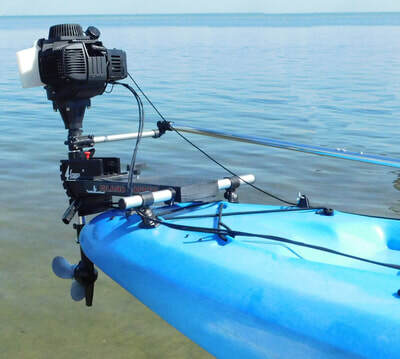 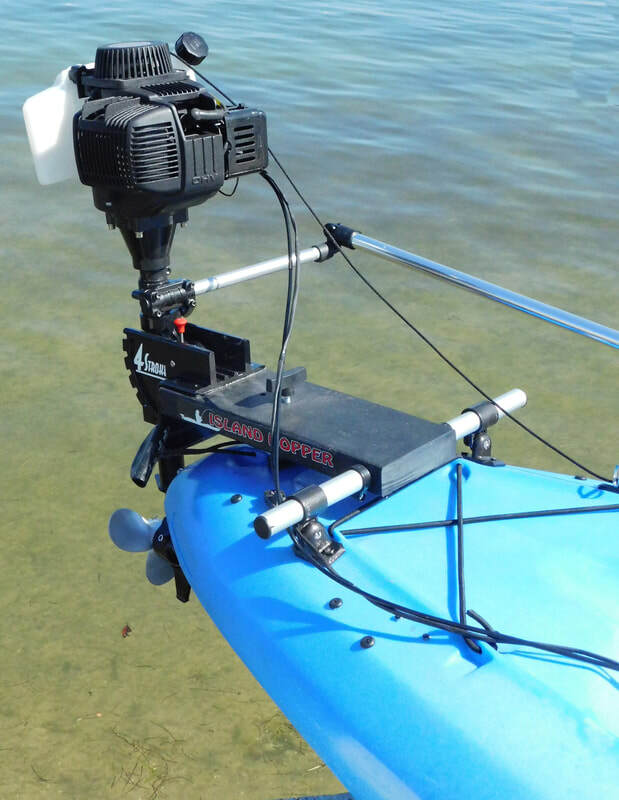 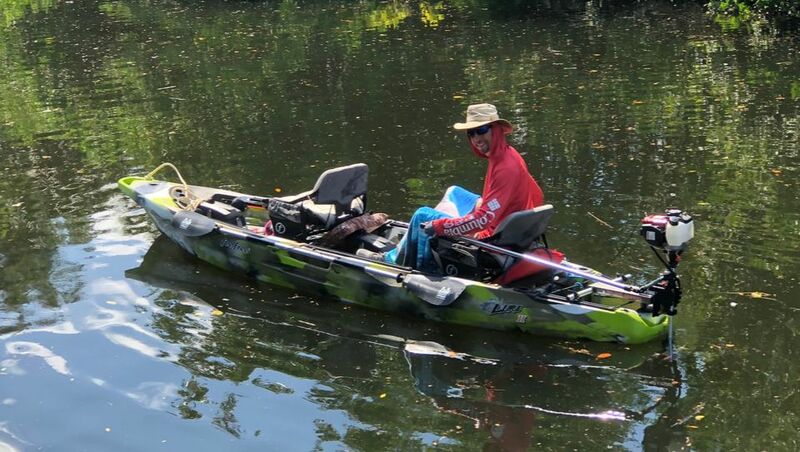 Attach the rudder cable to motor, and now your have hands free kayaking.